I felt like sharing the 5 books that I would normally suggest to anybody who want to improve their lives though in whatever situation or range they might be in at present , these timeless gems will be helpful to not just improve but also take you to an elevated state . Are you complaining about the trivial things? or feeling dejected and lost that your partner/spouse recently broke up with you or cheated on you? Then you should remember that your own life is beautifully more wonderful and better than that of countless people . This book is about a doctor who is captured into a Nazi concentration camp where life is a million times horrible than hell -his parents,wife,friends were all gassed to death and he still survived in that inferno and never gave up. My favorite lines from the book “It is not what you expect from life , it is that what life expects from you” . 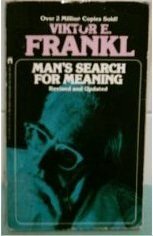 It is one of the books that created a “Deep Positive Impact on my thinking” towards philosophy and life. 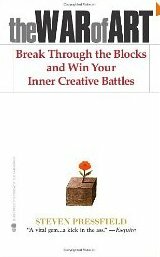 I have already stated the significance of this book in my previous articles ,this is a self help book with a difference– it is a diamond I would say, it almost cured my procrastination(one form of the Dangerous Resistance) problem. Steven Pressfield is a genius writer, a magician of words and cuts directly to the problem and gives an awesome solution.Go for it if you are struggling to start anything or if you are frittering away time even though you know what to do at the moment and not doing it and thereby feeling guilty . I want to say more about this “vital gem” but you will be more satisfied if you read it by yourself.The book is costly but I would say to buy it , I can solemnly say you wont be disappointed and its content’s worth is way more than its price! I have read many novels after reading this epic and still could not find even a close competition to it , Jeffrey Archer beats it all in this book-be it Agatha Cristie , Stephen King , Dan Brown or even the great Sidney Sheldon . If at all you want to imbibe reading as your habit , start with this book . This book takes you to a new world , new people(the characters) and new places . You will relish every page of the book , it includes everything that audience want suspense, drama, romance, revenge and many more . It is more entertaining than a 9.5/10 IMDB rated hollywood movie !! ← How to be Open Minded ?